Are you looking for a fun and easy way to train your brain? Do you need a little break to unwind and unplug? How about a new outlet to explore your creative side? 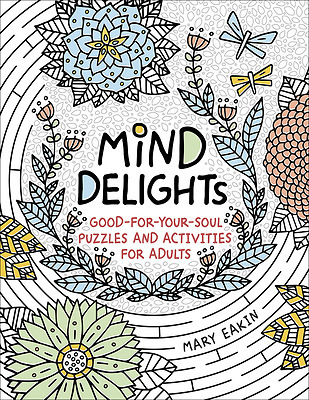 Make the most of your "me-time" with this unique activity book. Discover dot-to-dots, coloring pages, word puzzles, mazes, and more--all created to improve your cognitive skills and help you relieve stress. And as you keep your mind sharp, you'll encounter inspiring Scripture verses and delightful illustrations to feed your soul. Want it Monday? Order by 4/19/2019 2:00:00 PM and choose Overnight shipping at checkout. Ships from a Cokesbury Connect Partner.